Prints of Ellie’s bird paper cuts are now available! Fitting on to an A4 piece of paper these little prints are easy to frame and are professionally printed onto archival quality paper. They are £20, and every one comes signed with a backboard and wrapped in cellophane ready for giving as a gift! To order your visit the Gallery, choose which picture you want, and then get in touch at storiesinpaper(at)gmail.com. Prints can be shipped worldwide for the cost of postage. 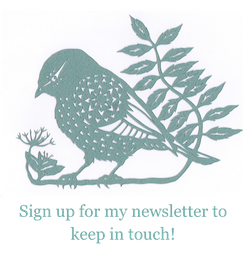 Thank you for supporting Stories in Paper, and keep an eye out for more pictures coming up soon! 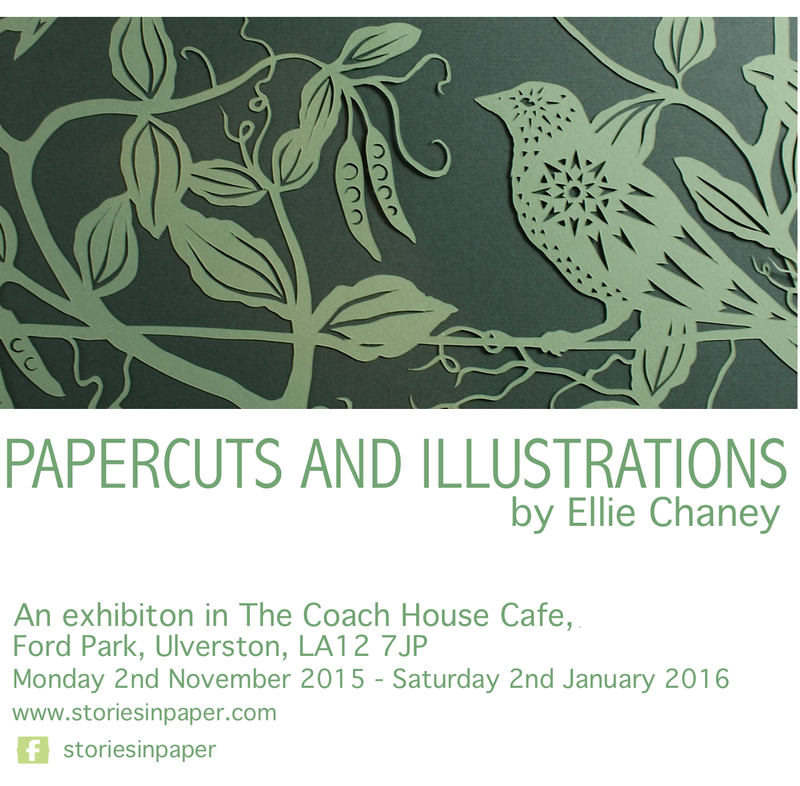 Ellie will be exhibiting her papercuts and illustrations at The Coach House Cafe and Bistro in Ulverston, Cumbria from Monday 2nd November 2015 – Saturday 2nd January 2016. Original art works will be for sale, and there will also be prints and cards available. Its a lovely place to sit and have coffee and lunch, with lots of the produce grown in the on site kitchen garden, and your visit will help to support this wonderful community resource.